Relax at our guesthouse by the fireplace, sweat it out in the sauna and enjoy the beautiful views over the lake Rõuge Suurjärv. Valley of Nightingale (Ööbikuorg), a short 1 km walk from the guesthouse. Explore the pristine springs and the ancient history when hiking on the trails in the valley. Visit the site of Vesioinas (Hydraulic Water Ram), a unique water-pump built in 1939 by a local farmer, which harnesses energy from the moving water to supply water to farms in the slope of the valley. Rõuge lakes. Rõuge is a place of seven lakes. Our guestouse has views over Lake Suurjärv, it’s the deepest lake in Estonia (38 metres) and is perfect for a refreshing swim. There is a small swimming beach on the shore of the lake (300 m from our guesthouse). 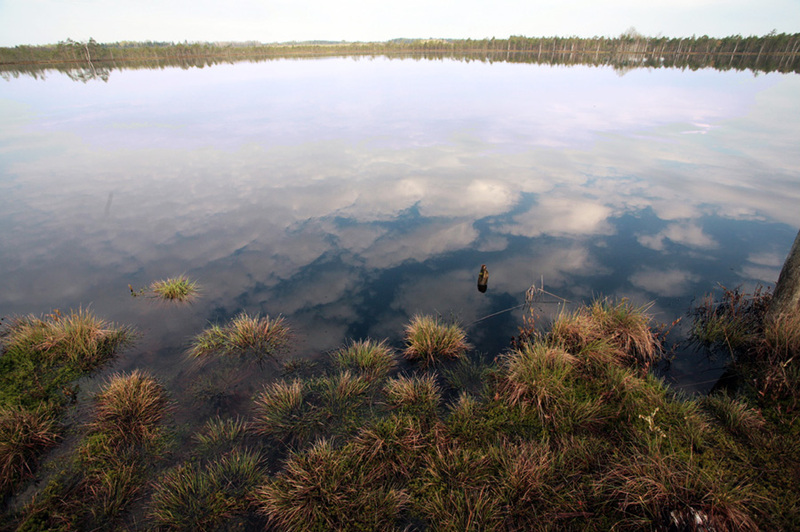 The other lakes in Rõuge include Kaussjärv, Liinjärv, Valgjärv and Ratasjärv. In the outskirts of the village you will find Tõugjärv and Lake Kahrila. You can visit Rõuge’s lakes via a hiking trail, which also leads to the ancient Hinni canyon, 5 km from Rõuge. 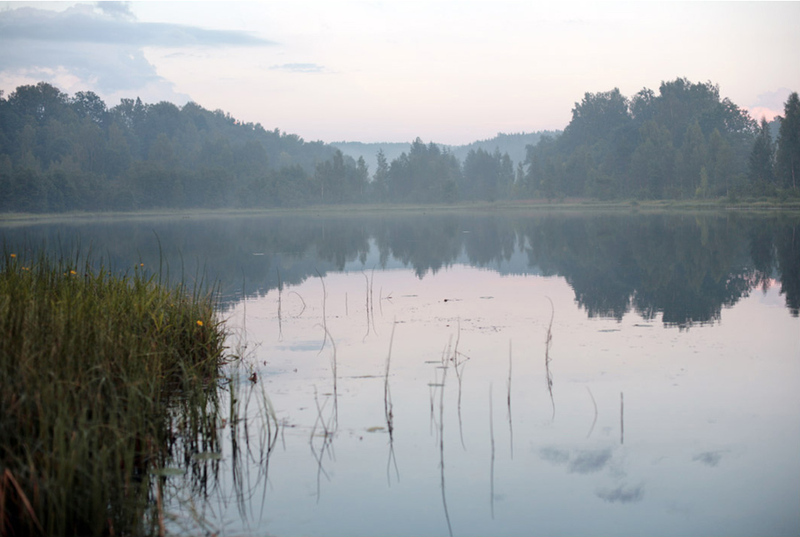 There are seven lakes in the village of Rõuge. A unique Hinni Canyon is situated at the shores of Lake Kahrila, 5 km from our guesthouse. The Canyon is 15-20 metres deep and 300 metres long in a steep-sided sandstone valley with a fast flowing stream at the bottom. The beautiful work of nature can be seen on the sandstone walls. Explore Luhasoo Landscape Protection Area by hiking a 4.5 km trail, part of which is a wooden path over marshlands. Midway through your journey, on a marsh island, there is a small wooden hut where you can also spend the night. The silence and stillness of the marsh is very relaxing and provides a welcome break from the noise of big cities and your daily chores. The highest peak in the Baltics, Suur Munamägi (the Great Egg Hill), is situated in Haanja, 8 km from Rõuge. 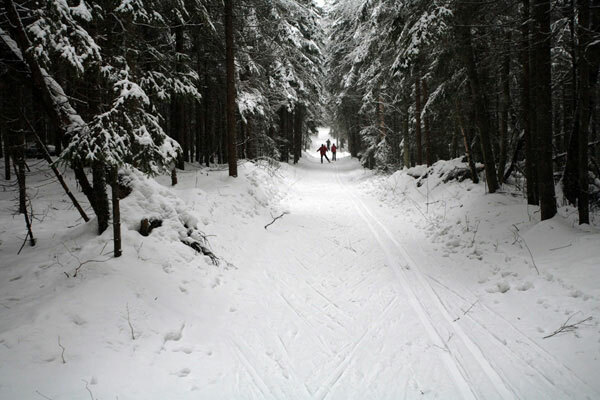 Cross-country skiing is popular in our region. There are some good and hilly trails in Haanja, passing through the beautiful forests of the region. There is enough snow for skiing in Haanja even in April! The cross-country skiing and hiking trails in Haanja are suitable for training as well as for leisurely hiking. The nearest alpine skiing slope is at Kütiorg, about 20 km away from our guesthouse.